I came across the Yamaga Blanks Early Plus just after it was released in the spring. 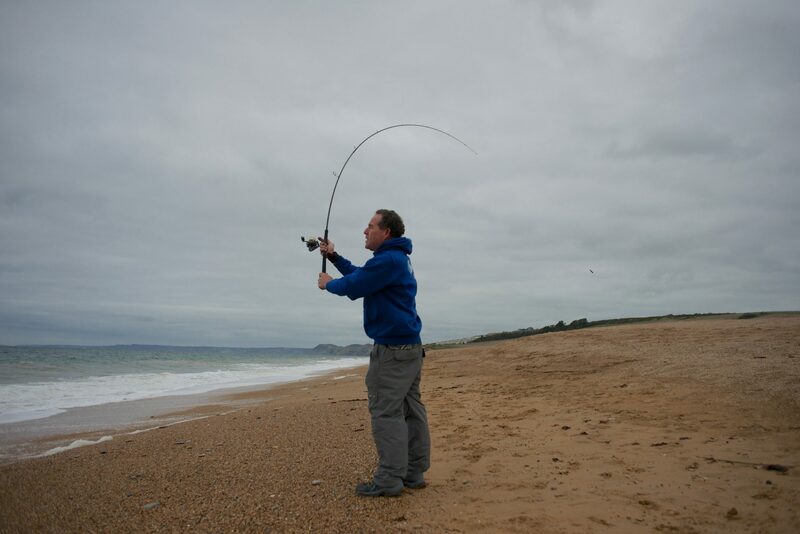 Dan Konig from Adventure Angler wrote an article for us on Bass fishing in Morocco Looking at the conditions he was fishing in made me think that the Early Plus would be an ideal rod for my rougher and heavier lure fishing for Bass, especially around Portland and some of the other Dorset rock marks I fish. The two piece Early Plus is 9ft 2″ and weighs in at only 147g, it is rated to cast lures between 7 and 32g using braids of PE 0.8-2.0. It is kitted out with top quality fittings such as genuine Fuji K series tangle free guides and a Fuji Back Stop locking reel fitting. The black blank is finished with a classy black whipping edged in silver. The graphics are simple, with a Japanese feel that emphasises the origin of the rod. I already own and have used rods in a similar casting range. 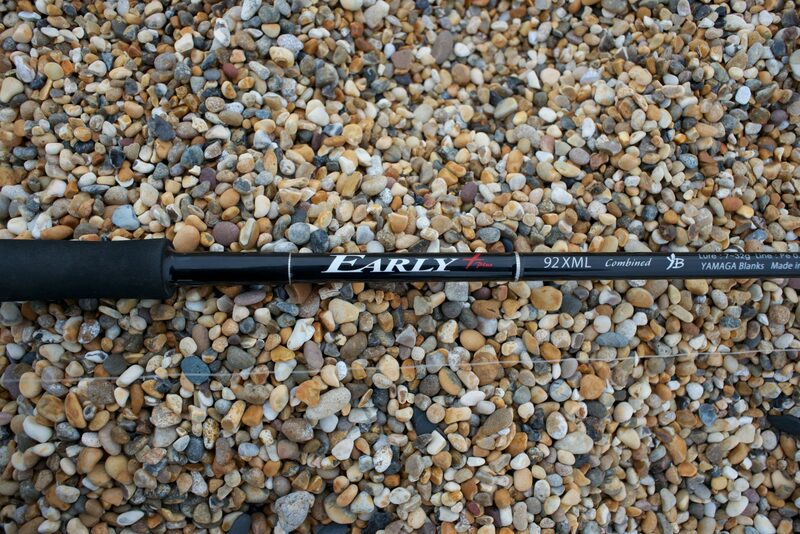 Namely the more expensive Century HPR, which has been my heavier rod for the last 3 years and the Majorcraft Skyroad, that is very similarly priced. 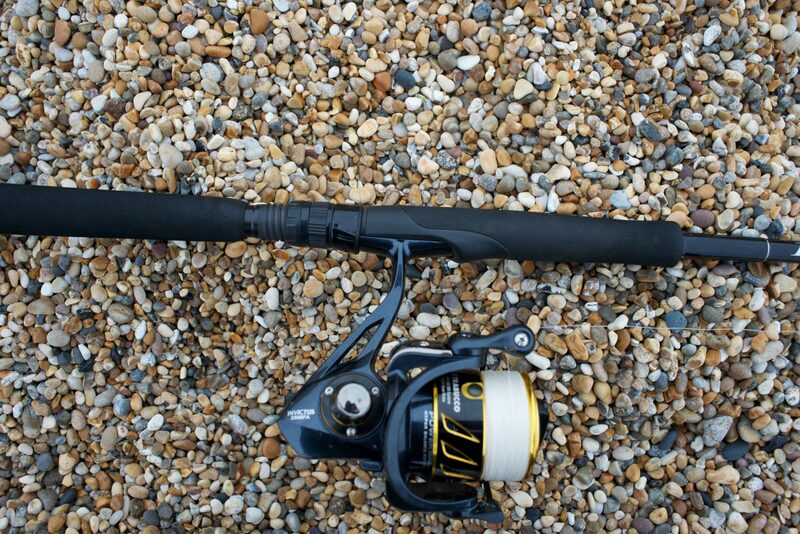 Both extremely good rods, but my HPR does struggle towards the higher end of its 5-28g casting range. The main thing you will notice about the Early Plus over the Skyroad, is that the rod feels that it would take a lot more punishment and trust me it I have fished it hard over the past 6 months. Despite leaning it against rocks and falling over with it, and even having a client stand on it on the shingle, it remains unmarked. The Fuji fittings are also untarnished, which leaves the rod looking almost as good as it was when I got it. I like the Back Stop locking reel seat, which makes sure the reel stays firmly locked into position for the duration on a session. The only negative I can say about the rod is that I would have preferred the reel seat to lock from the top rather than the bottom, but that is personal preference. The rod is described as having a medium action,which I would agree with. 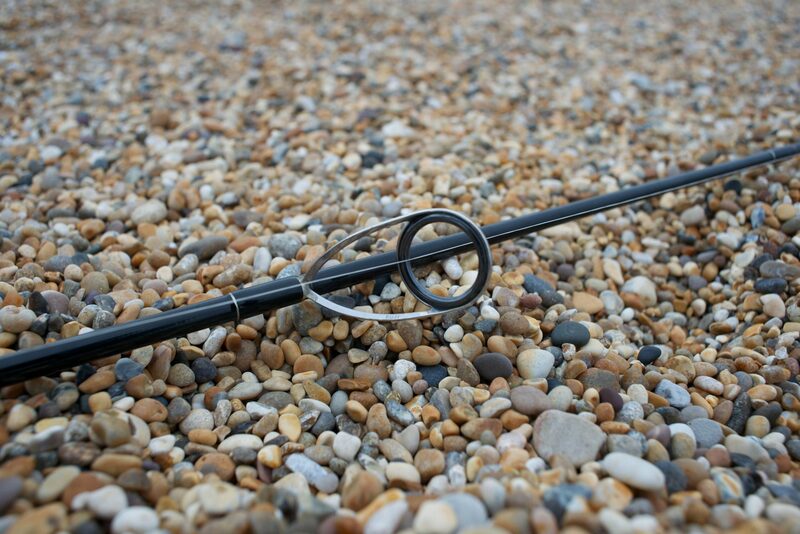 It loads easily and It certainly recovers very quickly which is perfect when using surface lures. I have used all sorts of lures with the rod including small soft plastics weighing less than 10g. The main lures I use with it are large surface lures such as Pr0-Q 120’s, Patchinko’s and Gunfish, as well as my selection of sub-surface lures. It can blast a Zonk 120 or Z-Claw a long way. 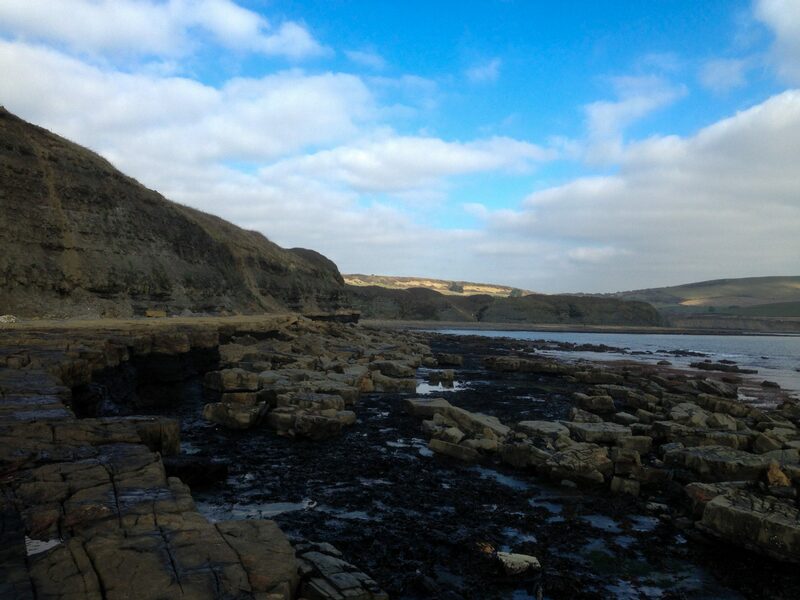 Where it really comes into it’s own is when you are casting a Savage Gear Sandeel, Fiiish Black Minnow or one of my favourite Seabooms 32g Turbo Eels into the face of a 20mph wind. 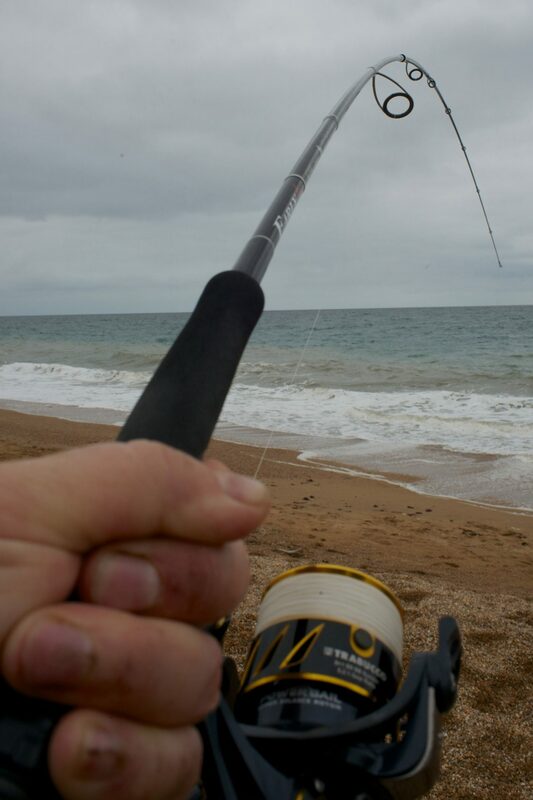 This is one of my favourite times for lure fishing on Chesil and you need to be able to put a lure out that gets out past the surf. Of all the rods that I have used in this range the Early Plus is the only one that can achieve the distances that I want. It is one of the few rods that I have used that can handle a large Patchinko and work the smaller Patchinko with finesse. Casting lures around 15g is a dream. Even when you get to the lower end of the rods rating, it can still flick out the soft plastics a good distance. Over the past few months I have caught over a 100 Bass on it, which proves that it can it work the lures really well, with all the feeling being transferred back to the rod allowing me to adjust the action as needed. Once I hook up, the rod has plenty of strength to fight the fish and land it quickly in a sporting way. Giving the fish the best chance of survival after being released. 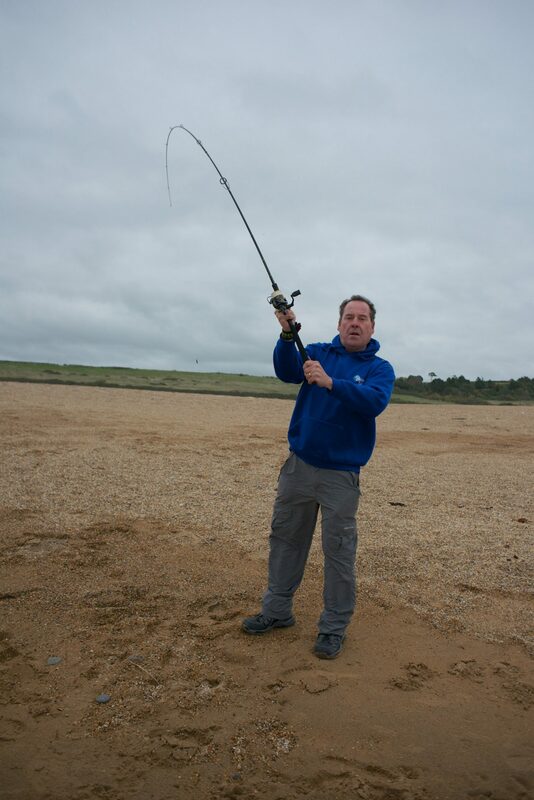 It is not only Bass that I use it for; I have caught plenty of Wrasse on it using soft plastics. I have been using it a lot for Pike fishing, where I often use lures as heavy as 60g. Although there is no need for long casts on the river, the rod handles the large lures without feeling overloaded. I would prefer the reel seat to screw down from the top.